CHRISTMAS PARTY ON 5 DECEMBER AT CORSICA STUDIOS, TICKETS ON SALE NOW! 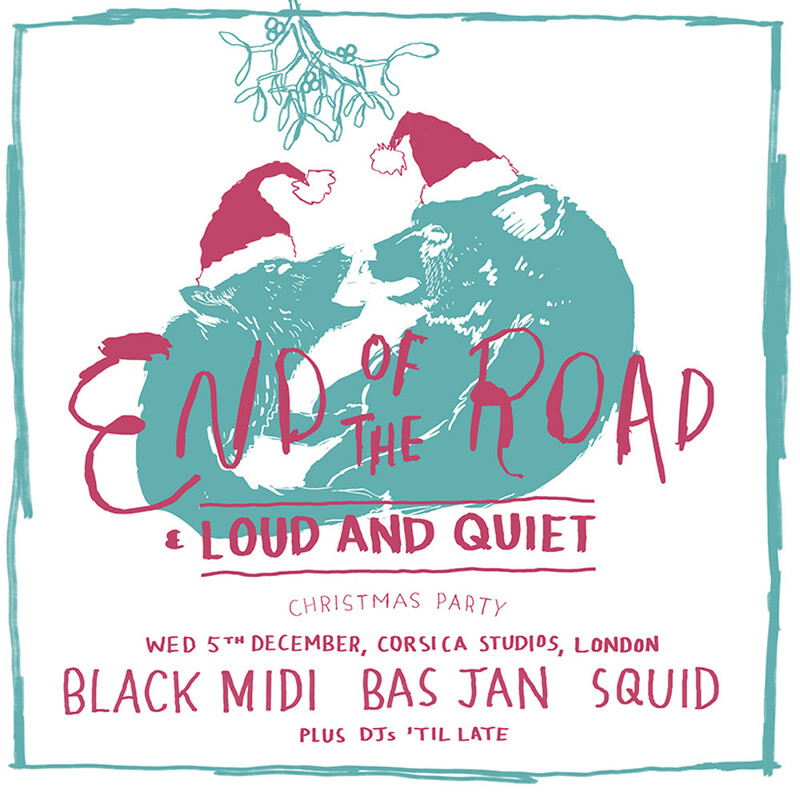 With the dust truly settled on this year’s exceptional End Of The Road, it’s time to reveal details of our annual Christmas Party which this year, takes place at Corsica Studios in London on Wednesday 5th December, presented with our friends at Loud And Quiet. We’re beyond excited to reveal Black Midi, described by Shame as ‘the best band in London’, as our Christmas Party headliners. They join one of this year’s festival highlights Bas Jan, who will be performing their signature art pop, alongside much hyped newcomers Squid, whose “rich blend of psychedelia, Europop and punk noise” (The Line of Best Fit) should get the party started nicely. Plus Loud And Quiet will be on DJ duties all evening and until late, reliving their career defining set from the festival’s opening party. Tickets are £13 each and available through Music Glue and DICE.